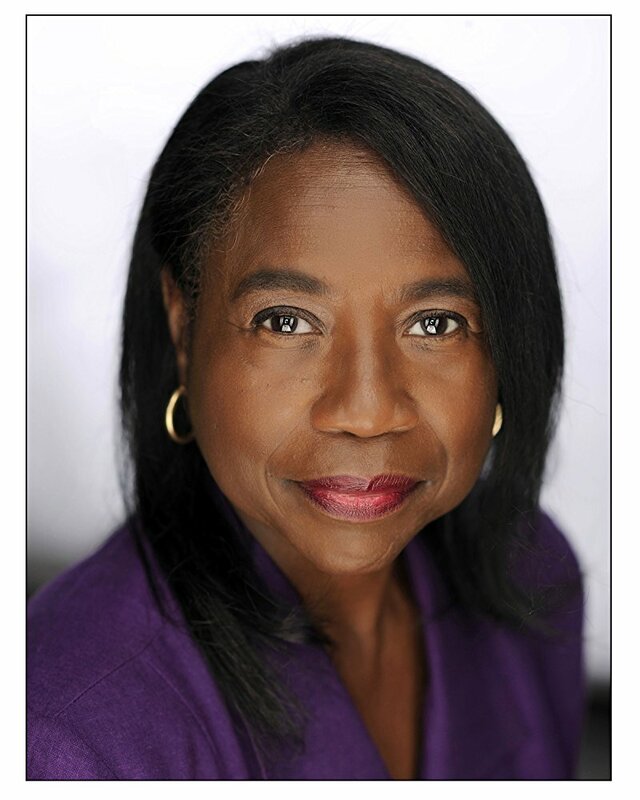 From working in theater at the prestigious American Conservatory Theater (ACT) in San Francisco to appearing with Julia Roberts in the landmark film Erin Brockovich, Ms. Barnes’ career has been extensive spanning theater, film, television, education, and writing. 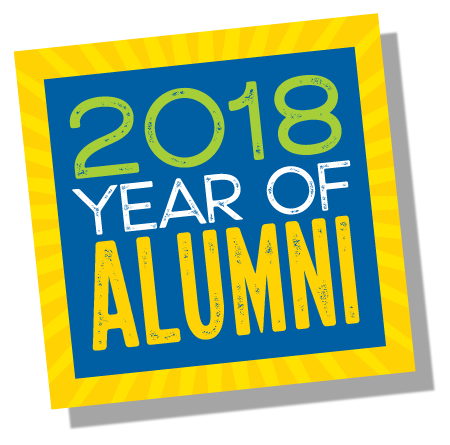 Barnes also has been very active as a UC Santa Cruz alumna and was named one of UCSC’s Most Influential Alumni, served on the elected Alumni Council, and has helped numerous students as a member of UCSC’s Career Advice Network. Her many awards over the years include the Winona Fletcher Award for Outstanding Achievement and Artistic Excellence in Theatre, being honored with the Adilah Barnes Arts and Literary Achievement Scholarship for inner-city youth in Minneapolis, and being the first African-American woman inducted into the Hall of Fame in her hometown of Oroville, California. In 2017, Barnes was honored, along with the Los Angeles Theatre Festival, which she co-founded, at the Inner City Cultural Center’s 50th anniversary in Los Angeles. Currently, Barnes is on campus working with students from UCSC’s African American Theater Arts Troupe in their production of the groundbreaking play A Raisin in the Sun by Lorraine Hansberry, where she is playing the role of Mama. The play, directed by Don Williams, is being produced by the UCSC Theater Arts Department, the UCSC Arts Division, and The Cultural Arts and Diversity Resource Center. “After Ms. Barnes was the keynote speaker for the 25th anniversary celebration of the African American Theater Arts Troupe, director Don Williams and I formed a spark of an idea to cast Ms. Barnes in the role of Mama,” said Dean of the Arts Susan Solt. “And how wonderful that she jumped in wholeheartedly to make this dream a reality. Barnes’ very first acting role was the Queen in A.A. Milne’s play The Ugly Duckling when she had just finished her sophomore year in high school. That summer she was selected to be part of Project Upward Bound, a U.S. Department of Education program which prepares students for college with special courses. The part unwittingly sowed the seed that would later become her destiny. During her first summer at Upward Bound, another fortuitous meeting came about that would greatly impact her life. Professor J. Herman Blake, who was the first African-American professor at the UCSC campus, starting there in 1965, and who became the founding provost of Oakes College, was visiting a friend who was an Upward Bound counselor. The students were on an outdoor field trip and stopped by a stream to swim. Barnes didn’t swim and wasn’t wearing a swim suit, but Professor Blake noticed her not participating and urged her to get in the water anyway. She did and, impressed with her moxie, he talked to her about considering UC Santa Cruz for college and invited her to take a tour of the very young, two-year-old campus. Along with her mentor Professor Blake, what attracted her to the campus was that, instead of giving letter grades, professors evaluated their students with written narratives. She also liked the idea of being at a smaller school where she could really get to know her teachers. During Barnes’ freshman year at UCSC, she discovered that there were only 2,400 students on campus with a mere 28 who were Black. The Black students came together as a group and became close friends, supporting each other during an extremely volatile time in history when the Vietnam War, Civil Rights Movement, the Black Panther Party, and hippie movement were all happening at the same time. Another significant time for her at UCSC was when she met Fernando Arrabal. The world-renowned Spanish playwright and director was visiting the campus to do a production with students and chose her to be in his play. “It was incredible! Even the San Francisco Chronicle came down to cover it,” she says. After graduation, she knew that she wanted to act professionally and moved to San Francisco to do theater. She landed at the esteemed American Conservatory Theater (ACT) where she became the first African American to teach full time in the Advanced Training Program. She did a wide variety of theater in the Bay Area…classics, contemporary, experimental…while also working in locally produced industrial films. Barnes kept getting work and was cast sight unseen by director Steven Soderbergh to be in his film, Erin Brockovich, which starred Julia Roberts. Soderbergh had seen Adilah on her demotape submitted by her agent and decided that she’d be perfect for the role of Anna, who’s character is in the entire movie. From there, more parts rolled in, including a part on the hugely successful television series Roseanne. Slated to be a returning, recurring character for one episode this abbreviated season, Barnes initially accepted the job over 25 years ago while in the middle of touring nationally for a one-woman show for the African-American Drama Company of San Francisco. Ironically, the first stop for the show was Porter College at UC Santa Cruz, so Barnes performed for old friends and classmates then – people who had spanned her entire life. While the play was on the East Coast, Barnes had a short break between performance dates and decided to come home to California, which she normally didn’t do due to the long distance. But she had a feeling she ought to come home between performances and went with her intuition. As fate would have it, she got a call to audition on the very day she needed to fly back. But the producers assembled at the urging of the casting director so she could still catch her flight. “I’ve never seen producers and writers scramble for an actor like that…everyone came together…” She read for the part and hopped on a plane to head back East, and then got the call that she’d been hired. And after doing that one episode of Roseanne, she got a call from one of the show’s writers thanking her for her work. Over the length of her career, along with her theater and film work, Barnes has had numerous roles for major television programs, including The Middle, The M Word, Body of Proof, Prime Suspect, Cold Case, and Gilmore Girls, to name a few. She also has written a book entitled On My Own Terms: One Actor’s Journey that was named #3 in June, 2009 by Essence Magazine behind President Obama’s two books. She toured throughout 40 states and three continents in her one-woman play I Am That I Am: Woman, Black, a historical journey into the lives of seven renowned women: Sojourner Truth, Harriet Tubman, Mary McLeod Bethune, Zora Neale Hurston, Lorraine Hansberry, Angela Davis and Maya Angelou. Barnes is also the co-founder of the Los Angeles Women’s Theatre Festival, an annual multicultural solo festival now in its 25th year, and is the proprietor of the Writer’s Well, an international literary retreat for women in Sharpsburg, Georgia with guests from as far away as Ghana and Puerto Rico. "If a role has your name on it, you're going to get it"
When offering advice to students who want to become actors, Barnes tells them to “train, train, train,” and to always be ready. She stresses how important it is to learn your craft, give it your best, maintain your integrity and to not take things personally. As an example, Barnes tells of when she was auditioning to be in a film with Whoopie Goldberg and, due to her being in a play in ACT at the time, couldn’t make it from San Francisco to the audition in San Jose, so the casting director scheduled her for another day and time. But when she started to drive to the audition, her car’s fuel injectors acted up, preventing her from making it. When she called the agent to let her know, she said that it was unlikely she’d get another time to audition. When she found out that they had cast someone else, she released the role. But then Barnes was called again because the shooting schedule had changed and the actor couldn’t take the role, so she was able to make the audition the third time around. She rented a car this time to make sure nothing would go wrong! Barnes also advises acting students to be very mindful of the roles they take and be aware that every role they agree to is building their resume. She cautions against accepting any part, especially at the beginning of one’s career, with the excuse that it’s okay to do anything because you need the experience, credits, and the work. "A lot of roles I played were not written for African-American Women"
Barnes talks about many of her inspiring personal experiences in her book On My Own Terms: One Actor’s Journey, including the time when she unexpectedly ended up performing a poem in front of her idol Sidney Poitier. “Like I said, always be ready!” she chuckles. As rehearsals for A Raisin In the Sun continue, Barnes has been thrilled to work with the students and looks forward to when the play opens. She also hopes to return to UCSC in the future to do more educational projects and teach a class that focuses on the first wave of African-American students who were the trail blazers on campus when it first opened, many of whom who have gone on to very successful careers. "A Raisin in the sun is one of my all-time favorite timeless classics"
“I’m delighted to have been invited to come back to UC Santa Cruz,” she says. “Being a cast member of UCSC's production of A Raisin in the Sun is heartwarming for me on many levels. First on all, the play is one of my all-time favorite timeless classics. I adore Lorraine Hansberry, who I also portray and give homage to in my solo show, I Am That I Am: Woman, Black. “Secondly, returning to UCSC in this capacity leading a cast of students is a learning experience for all of us, not to mention working with director Don Williams whom I have worked with in different capacities for many years. Thirdly, I portrayed the daughter character of Beneatha many years ago and welcome growing into playing the wise and powerful role of Mama at this time around in my career. I am deeply humbled by this UCSC opportunity to work on stage again."